What you do with your tires when they are finished? You think you could do something with them? Tom from Bicyclebelts, thinks so. These days, Tom Hellmann sent us their innovative products for review. 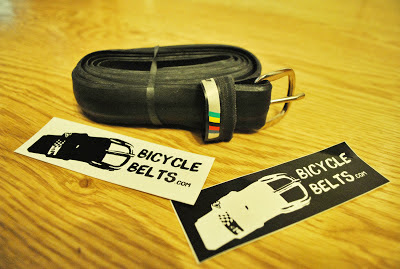 Tom creates belts with this finished tyres, the belts you can buy in his online store bicyclebelts.com are very durable, and will definitely outlast leather, cloth belts, etc. especially due to the fact that they don't absorb water like other materials do. 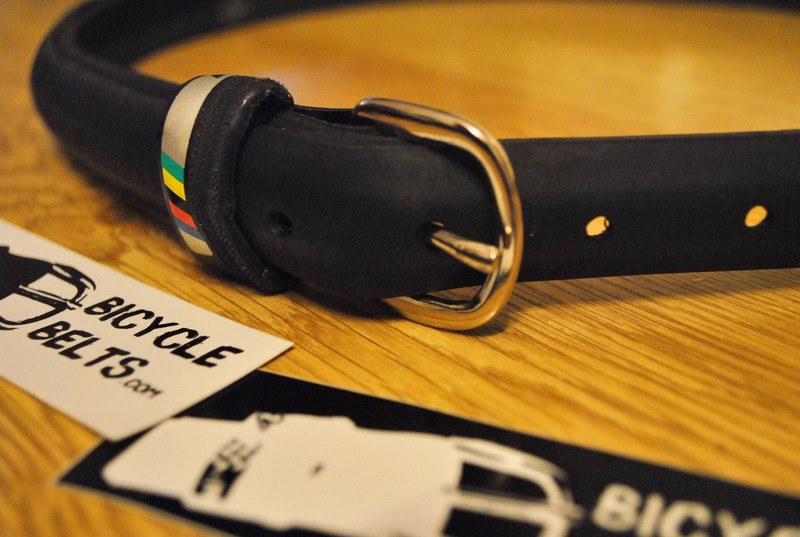 With the strength of the thread patterns, flat protection, and rubber compounds used in bicycle tires, these belts will probably last forever. 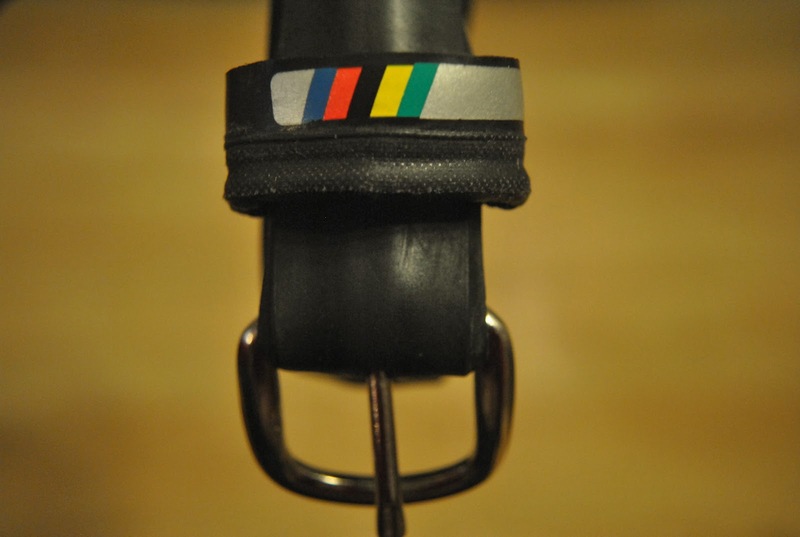 They will not fade or discolour. 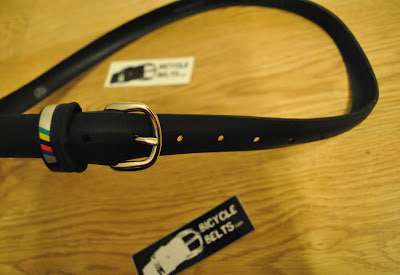 Bicyclebelt like tire, but it's a belt! Road tires are generally 1 inch, cross and commuter tires are usually in the 1 1/4 inch range, and MTB and BMX are usually 1 1/2 inches wide. 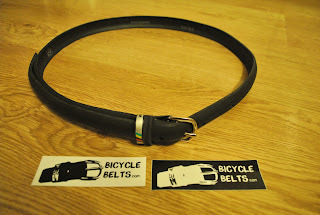 He has his available inventory ready (including key chains) for sale and shipment on Bicyclebelts.com. As you can see from the pictures we reviewed belt model Tom sent us, this model is called "Specialized Mondo Road Tire Belt". This model is completely black, but on their website you can see models of many colours: black and white, red and black, etc.. 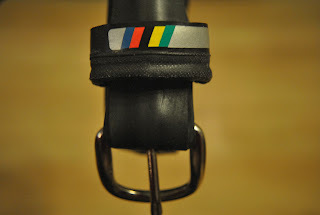 The model we reviewed has a lovely touch of colours characteristic of cycling (yellow, green, red, black and blue). Inside the belt Tom has left his signature brand of manufacturer, handmade, increasing its value, since it is a single belt. The product is for us an example of the products of the future, sustainable products that continue to use things that until now had been considered trash, and now can be considered as recycling jewellery: unique and a lifetime behind. 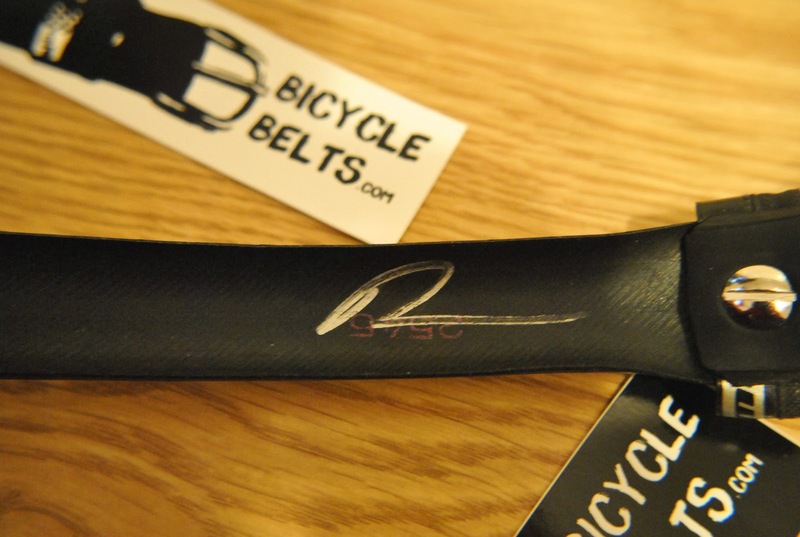 I hope Tom have much luck with his online shop Bicliclebelts.com creating belts with old bicycle tires and that its activity can serve as an example to other entrepreneurs in the world.